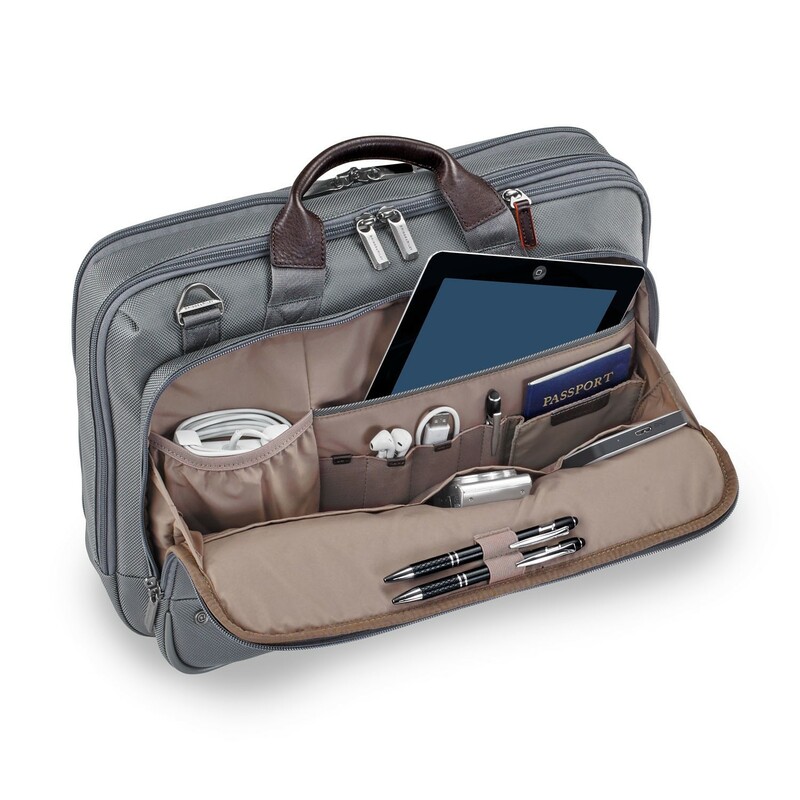 The Briggs & Riley @work Medium Brief is a versatile companion for the non-stop lifestyle. When life demands a perfect balance, this bag delivers with smart organization for all your business essentials while still keeping it lightweight and mobile-friendly. It fits most 15.6″ laptops. The padded tablet slip pocket protects most tablets or e-readers in or out of their cases. The generously sized gusseted main compartment can accommodate bulky or odd-shaped items.